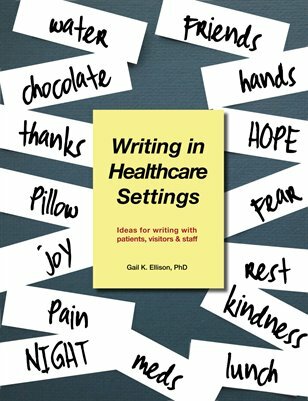 Writing in Healthcare Settings is a book of suggestions, ideas, advice, prompts and inspiration for people who want to catalyze writing by patients and staff. Geared toward writers working in hospitals, it will be equally helpful for nurses, social workers, home-health aides, physicians, therapists, family members, and all caregivers who work in rehab centers, retirement communities, hospice facilities and other healthcare settings. The focus is on writing, but anyone working in arts in healthcare— including visual artists, dancers, musicians and actors—will find inspiration in this book. Color illustrations, 60 pp.